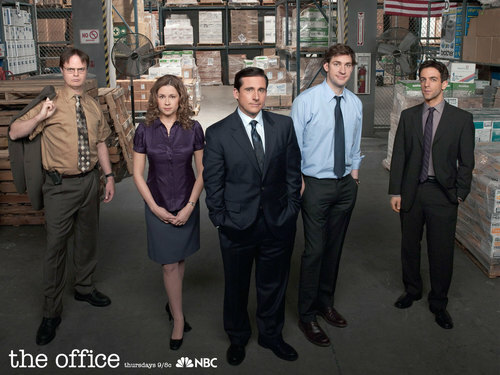 Office Cast 2009. . HD Wallpaper and background images in the The Office club tagged: the office cast 2009 1600x1200 wallpaper promo photo. This The Office wallpaper contains business suit, suit, suit of clothes, dress suit, full dress, tailcoat, tail coat, tails, white tie, and white tie and tails. There might also be single breasted suit, pinstripe, street, city scene, and urban setting. They all look so good! And Jim's smile is so cute!